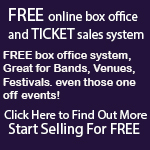 Norfolk and Norwich Music Agencies - Norfolk Gigs - Norfolk Gig Guide - Norwich Gigs. Page 1. Add Your Norfolk and Norwich Agency Here! Tel: 07484 810664 We supply you with the TOP artists in Norfolk & Suffolk. These are all professional acts from Band and Solo acts to Discos & Duo's. We take the headache away from you for entertainment. Weddings to Corporate functions, Pub gigs to Social clubs. Tel: 0845 108 5500 Alive Network is the UK's leading supplier of live music and entertainment to weddings, private parties and corporate events.